A federal judge struck down a criminal statute that became law in Arizona during 2005. The statute is against human smuggling and the ruling found that it infringed on the federal government’s power of enforcing its immigration law. The decision by Judge Susan Bolton represents the most recent setback for the state that shares a border with Mexico to use Arizona local police and law to stem the ingress of undocumented immigrants. Courts have overturned many of the states measures related to immigration. The U.S. Justice Department sought to strike down the law in Arizona against smuggling of humans, which was first approved in 2005 and then amended slightly by a controversial sweeping law in 2010, and the judge, based in Phoenix concurred. The measure imposed different and additional state penalties that the federal law, it divests the federal authorities of exclusive power of prosecution the specific crimes of smuggling and criminalizes conduct that is not covered by any federal law, wrote the judge. Papers were filed in October that defended the law by the an attorney in Maricopa County saying hundreds of cases had been filed against human smugglers thanks to the statute. In one case, a man came under prosecution after police found he had brought nine immigrants across the Mexico/U.S. border prior to being held for ransom at a Mesa, Arizona drop house. The outgoing Arizona governor Republican Jan Brewer clashed with the White House on the way it administrated immigration. A representative from the Governor’s office was not available for comment. Sheriff Joe Arpaio of Maricopa County bills himself as the toughest Sheriff in America. He is amongst law enforcement officials that use the smuggling of human’s law. 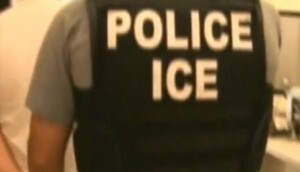 The Supreme Court struck down sections of the Arizona immigration law from 2010 including provisions banning undocumented immigrants from looking for work and allowing police the right to arrest them without warrants if they suspected they had committed crimes that warranted deportation. However, the court left the provision that was most controversial intact, which gave officers the right to check the immigrations status of those they stop even for offenses that were minor.